A photochromic polyurethane laminate that is constructed to solve certain manufacturing difficulties involved in the production of plastic photochromic lenses is disclosed. The photochromic laminate includes at least two layers of a resinous material and a photochromic polyurethane layer that is interspersed between the two resinous layers and which contains photochromic compounds. The polyurethane layer is formed by curing a mixture of a solid thermoplastic polyurethane, at least one isocyanate prepolymer, at least one photochromic compound, and a stabilizing system. This application is a continuation of U.S. patent application Ser. No. 13/645,696 filed Oct. 5, 2012 entitled Photochromic Polyurethane Laminate, which is a divisional of U.S. patent application Ser. No. 10/938,275 filed Sep. 9, 2004 entitled Photochromic Polyurethane Laminate (now U.S. Pat. No. 8,298,671 issued Oct. 30, 2012), which claims the benefit of priority from U.S. Provisional Application Ser. No. 60/501,820 filed Sep. 9, 2003 entitled Photochromic Laminate; and U.S. Provisional Application Ser. No. 60/501,819 filed Sep. 9, 2003 entitled Photochromic Film And Method Of Manufacture, all of which are hereby incorporated herein by reference in their entireties. The present invention relates generally to a photochromic laminate that can be applied to polymeric surfaces or can be used by itself as a photochromic element. The invention also relates to a photochromic laminate that is capable of withstanding high temperatures and can be incorporated into plastic lenses by means of injection molding. The invention further relates to a photochromic laminate that is excellent in both control of thickness and surface smoothness of the photochromic layer, and thereof exhibits uniform darkness at the activated state. Photochromic articles, particularly photochromic plastic materials for optical applications, have been the subject of considerable attention. In particular, photochromic ophthalmic plastic lenses have been investigated because of the weight advantage and impact resistance they offer over glass lenses. Moreover, photochromic transparencies, e.g. window sheets, for vehicles such as cars, boats and airplanes, have been of interest because of the potential safety features that such transparencies offer. The use of polycarbonate lenses, particularly in the United States, is widespread. The demand for sunglasses that are impact resistant has increased as a result of extensive outdoor activity. Materials such as polycarbonate have not historically been considered optimal hosts for photochromic dyes due to slow activation rate, slow fading (bleeching) rate, and low activation intensity. Nonetheless, there are several existing methods to incorporate photochromic properties into lenses made from materials such as polycarbonate. One method involves applying to the surface of a lens a coating containing dissolved photochromic compounds. For example, Japanese Patent Application 3-269507 discloses applying a thermoset polyurethane coating containing photochromic compounds on the surface of a lens. U.S. Pat. No. 6,150,430 also discloses a photochromic polyurethane coating for lenses. Another method involves coating a lens with a base coating. An imbibing process described in U.K. Pat. No. 2,174,711 or U.S. Pat. No. 4,968,454 is used to imbibe a solution containing photochromic compounds into the base coating material. The most commonly used base material is polyurethane. However, the two methods described above, which involve coating the lens after it is molded, have significant shortcomings. For example, typically a coating of about 25 μm or more is needed to incorporate a sufficient quantity of photochromic compounds into the base in order to provide the desired light blocking quality when the compounds are activated. This relatively thick coating is not suited for application on the surface of a segmented, multi-focal lens because an unacceptable segment line and coating thickness nonuniformity around the segment line are produced, and the desirable smooth surface quality is affected. Lenses made from plastic materials such as polycarbonate are produced by an injection molding process and insert (also known as in-mold decoration) injection molding is used to incorporate photochromic properties into the lenses. Insert injection molding is a process whereby a composition is injection molded onto an insert in the mold cavity. For example, as disclosed in commonly assigned U.S. Pat. No. 6,328,446, a photochromic laminate is first placed inside a mold cavity. Polycarbonate lens material is next injected into the cavity and fused to the back of the photochromic laminate, producing a photochromic polycarbonate lens. Because the photochromic function is provided by a thin photochromic layer in the laminate, it is practical to make photochromic polycarbonate lenses with any kind of surface curvature by the insert injection molding method. Transparent resin laminates with photochromic properties have been disclosed in many patents and publications, for example, Japanese Patent Applications 61-276882, 63-178193, 4-358145, and 9-001716; U.S. Pat. No. 4,889,413; U.S. Patent Publication No. 2002-0197484; and WO 02/093235. The most commonly used structure is a photochromic polyurethane host layer bonded between two transparent resin sheets. Although the use of polyurethane as a photochromic host material is well known, photochromic polyurethane laminates designed especially for making photochromic polycarbonate lenses through the insert injection molding method are unique. Problems associated with conventional insert injection molding techniques in the manufacture of photochromic lens are polyurethane bleeding and poor replication of segment lines. “Bleeding” occurs from the deformation of the polyurethane layer during processing. In particular, bleeding occurs when the polyurethane layer melts and escapes from its position between the two transparent sheets of the laminate during the injection molding process. The inventors have discovered that bleeding most frequently results from an excess amount of polyurethane and from using too soft a material. The inventors have also discovered that poor replication of segment lines occurs when the layer of polyurethane is too thick and movement of the laminate occurs as pressure from the mold is applied. In order to prevent the bleeding problem, it is preferred to have the polyurethane cross-linked. However, cross-linked polyurethane, once made, is difficult to be laminated between transparent resin sheets. A convenient method to incorporate cross-linked polyurethane is to start with a liquid polyurethane system such as the one described in U.S. Patent Publication No. 2002-0197484. To make the laminate efficiently, a web coat-laminate line such as the one described in Japan Patent Laid Open 2002-196103, is usually used. The state of the art coating equipment is capable of coating a uniform layer of liquid polyurethane mixture. However, this layer will only be partially solidified (or cured) at the moment of in-line lamination. Any possible surface defects of resin sheet and lamination rollers are easily transferred to the soft polyurethane layer during lamination. The most often seen defects in the polyurethane layer include thickness un-evenness across the web and thin spots due to uneven pressure at lamination or improper handling. In order to have the polyurethane layer firm enough to withstand the necessary pressure during lamination, it needs to be cured for a certain amount of time, which slows down the processing or renders the continues web coating-laminating impossible. Therefore, the need exists to overcome the problems and shortcomings associated with existing polyurethane laminates having photochromic properties and methods of making these laminates. The need and shortcomings of the existing laminates and methods of manufacturing these laminates are met by the polyurethane laminate and method in accordance with the present invention. It is an object of the present invention to provide a transparent photochromic polyurethane laminate that has improved thickness uniformity and surface smoothness, so that the darkness or light transmission at the activated state is uniform. It is another object of the present invention to provide a photochromic polyurethane laminate that exhibits dimensional stability under high temperature and high pressure, so that it can be used to produce a plastic photochromic lens though an insert injection molding process. The objects are achieved by the transparent photochromic polyurethane laminate in accordance with the present invention. One embodiment of the present invention comprises a polyurethane layer including photochromic compounds having first and second sides, a front transparent resin sheet is bonded to the first side of the polyurethane photochromic layer, and a back transparent resin sheet is bonded to the second side of the polyurethane photochromic layer. The front and back transparent resin sheets may be bonded to the polyurethane layer with or without additional adhesive such as epoxies and the acrylate types. The front and back transparent resin sheets are preferably made of the same material as the lens base. That is, if the lens base material is polycarbonate, it is preferred to have polycarbonate resin sheets bonded to the polyurethane photochromic layer. If the lens base material is cellulose acetate butyrate, then it is preferred to have cellulose acetate butyrate resin sheets bonded to the polyurethane photochromic layer. Any clear, transparent plastic resin may be used for the base and resin sheets, for example, polysulfones, polyacrylates and polycycloolefins. The term “front resin sheet” means that the resin sheet is facing the mold cavity to duplicate the front (convex) surface of the whole lens. By the term “back”, we mean that the resin sheet is facing the lens base. The term “lens base” means the portion of the lens that is molded onto the laminate to form the main portion of the lens. The objects of the present invention are further achieved by the careful design of the polyurethane composition used to host the photochromic dyes. The polyurethane layer material comprises a) a solid thermoplastic polyurethane, b) at least one aliphatic isocyanate-terminated polyurethane prepolymer, and c) at least one photochromic compound selected from a group consisting of spiropyrans, spiroxizines, fulgides, fulgimides, and naphthopyrans. The thermoplastic polyurethane has a theoretical NCO index from 90 to 105, and a molecular weight (number averaged) of from 9,000 to 100,000. The isocyanate prepolymer has a NCO content of from 1.0% to 10.0%, by weight. The weight ratio of the thermoplastic polyurethane vs. the isocyanate prepolymer is in the range from 1:9 to 9:1. The photochromic compound(s) counts for 0.1% to 5% of the total polyurethane, by weight. To enhance the fatigue resistance of the photochromic compounds, stabilizers such as antioxidants, light stabilizers, and UV absorbers are added in the polyurethane layer. The photochromic laminate is preferably made through a cast-lamination process. All components described above are dissolved in a suitable solvent, cast on a release liner. After the solvent is evaporated substantially, the thermoplastic polyurethane portion will provide the cast polyurethane film enough rigidity to go through the lamination process without any deformation. After lamination, the polyurethane prepolymer will provide further curability by reacting with active hydrogen atoms in the system to enhance the dimensional stability of the polyurethane layer under high temperature and high pressure. Although the photochromic laminate according to this invention is especially suitable for making photochromic polycarbonate lenses through the insert injection molding process, other non-limiting uses include photochromic transparencies such as goggles and face shields. The present invention provides a photochromic polyurethane laminate having two transparent resin sheets bonded to a photochromic polyurethane layer formed by curing a mixture of a solid thermoplastic polyurethane, at least one isocyanate prepolymer, at least one photochromic compound, and a stabilizing system. The thermoplastic polyurethane has a theoretical NCO index of from 90 to 105, and a molecular weight (number averaged) of from 20,000 to 100,000. The isocyanate prepolymer has a NCO content of from 1.0% to 10.0%, by weight. The weight ratio of the thermoplastic polyurethane vs. the isocyanate prepolymer in the photochromic polyurethane composition is in the range from 1:9 to 9:1. The photochromic compound(s) counts for 0.1% to 5% of the total polyurethane, by weight. The photochromic laminate is preferably made through a cast-lamination process. All components described above are dissolved in a suitable solvent, cast on a release liner. After the solvent is evaporated substantially, the thermoplastic polyurethane portion will provide the cast polyurethane film enough rigidity to go through the lamination process without any deformation. After lamination, the polyurethane prepolymer will provide further curability by reacting with active hydrogen atoms such as those of terminal hydroxyl groups, moisture, urethane groups, and urea groups in the system to enhance the dimensional stability of the polyurethane layer under high temperature and high pressure. The material used to make the transparent resin sheet is not limited so long as it is a resin with high transparency. In case the photochromic polyurethane laminate of the present invention is incorporated into a thermoplastic article such as a spectacle lens, the transparent resin sheets of the laminate is preferably of a resin material that is thermally fusible to the article base material so that the photochromic laminate is tightly integrated with the article base when produced with the insert injection molding process. Thus, it is more preferred to have same kind of material for both the article base and the transparent resin sheets. Suitable sheet resin materials include polycarbonate, polysulfone, cellulose acetate butyrate (CAB), polyacrylates, polyesters, polystyrene, copolymer of an acrylate and styrene, blends of compatible transparent polymers. Preferred resins are polycarbonate, CAB, polyacrylates, and copolymers of acrylate and styrene. A polycarbonate-based resin is particularly preferred because of high transparency, high tenacity, high thermal resistance, high refractive index, and most importantly, and especially its compatibility with the article base material when polycarbonate photochromic lenses are manufactured with the photochromic polyurethane laminate of the present invention and the insert injection molding process. A typical polycarbonate based resin is polybisphenol-A carbonate. In addition, examples of the polycarbonate based resin include homopolycarbonate such as 1,1′-dihydroxydiphenyl-phenylmethylmethane, 1,1′-dihydroxydiphenyl-diphenylmethane, 1,1′-dihydroxy-3,3′-dimethyldiphe-nyl-2,2-propane, their mutual copolymer polycarbonate and copolymer polycarbonate with bisphenol-A. While the thickness of a transparent resin sheet is not particularly restricted, it is typically 2 mm or less, and preferably 1 mm or less but not less than 0.025 mm. As the thermoplastic polyurethane, it is preferably made from a diisocyanate, a polyol, and a chain extender. Thermoplastic polyurethanes of this kind are known and may be obtained, for example, in accordance with U.S. Pat. Nos. 3,963,679 and 4,035,213, the disclosures of which are incorporated herein by reference. The thermoplastic polyurethane used in the present invention is particularly prepared from a composition comprising a) an aliphatic isocyanate having a functionality of 2, b) at least one high molecular weight polyol having a nominal functionality of 2 and a molecular weight of from 500 to 6000 g/mole, preferably from 700 to 3000 g/mol, and counting for from about 50% to about 98% by weight, preferably from 70% to 95%, of the total isocyanate reactive species in the composition, and c) at least one low molecular weight diol having a molecular weight of from 62 to 499, and counting for from about 2% to about 50% by weight, preferably from 5% to 30%, of the total isocyanate reactive species in the composition. The polyols of the present invention are those conventionally employed in the art for the preparation of polyurethane cast elastomers. Naturally, and often times advantageously, mixtures of such polyols are also possible. Examples of the suitable polyols include polyether polyols, polyester polyols, polyurethane polyols, polybutadiene polyol, and polycarbonate polyols, while polyether and polyester types are preferred. Included among suitable polyether polyols are polyoxyethylene glycol, polyoxypropylene glycol, polyoxybutylene glycol, polytetramethylene glycol, block copolymers, for example, combinations of polyoxypropylene and polyoxyethylene glycols, poly-1,2-oxybutylene and polyoxyethylene glycols, poly-1,4-tetramethylene and polyoxyethylene glycols, and copolymer glycols prepared from blends or sequential addition of two or more alkylene oxides. The polyalkylene polyether polyols may be prepared by any known process such as, for example, the process disclosed in Encyclopedia of Chemical Technology, Vol. 7, pp. 257-262, published by Interscience Publishers, Inc. (1951), the disclosure of which is incorporated herein by reference. Polyethers which are preferred include the alkylene oxide addition products of polyhydric alcohols such as ethylene glycol, propylene glycol, dipropylene glycol, trimethylene glycol, 1,2-butanediol, 1,5-pentanediol, 1,6-hexanediol, 1,7-heptanediol, hydroquinone, resorcinol glycerol, glycerine, 1,1,1-trimethylol-propane, 1,1,1-trimethylolethane, pentaerythritol, 1,2,6-hexanetriol, .alpha.-methyl glucoside, sucrose, and sorbitol. Also included within the term “polyhydric alcohol” are compounds derived from phenol such as 2,2-bis(4-hydroxyphenyl)-propane, commonly known as Bisphenol A. The suitable polyester polyols include the ones which are prepared by polymerizing ε-caprolactone using an initiator such as ethylene glycol, ethanolamine and the like. Further suitable examples are those prepared by esterification of polycarboxylic acids. Further suitable polyester polyols include reaction products of polyhydric, preferably dihydric alcohols to which trihydric alcohols may be added and polybasic, preferably dibasic carboxylic acids. Instead of these polycarboxylic acids, the corresponding carboxylic acid anhydrides or polycarboxylic acid esters of lower alcohols or mixtures thereof may be used for preparing the polyesters. The polycarboxylic acids may be aliphatic, cycloaliphatic, aromatic and/or heterocyclic and they may be substituted, e.g., by halogen atoms, and/or unsaturated. The following are mentioned as examples: succinic acid; adipic acid; suberic acid; azelaic acid; sebacic acid; phthalic acid; isophthalic acid; trimellitic acid; phthalic acid anhydride; tetrahydrophthalic acid anhydride; hexahydrophthalic acid anhydride; tetrachlorophthalic acid anhydride, endomethylene tetrahydrophthalic acid anhydride; glutaric acid anhydride; maleic acid; maleic acid anhydride; fumaric acid; dimeric and trimeric fatty acids such as oleic acid, which may be mixed with monomeric fatty acids; dimethyl terephthalates and bis-glycol terephthalate. Suitable polyhydric alcohols include, e.g., ethylene glycol; propylene glycol-(1,2) and -(1,3); butylene glycol-(1,4) and -(1,3); hexanediol-(1,6); octanediol-(1,8); neopentyl glycol; (1,4-bis-hydroxymethylcyclohexane); 2-methyl-1,3-propanediol; 2,2,4-trimethyl-1,3-pentanediol; triethylene glycol; tetraethylene glycol; polyethylene glycol; dipropylene glycol; polypropylene glycol; dibutylene glycol and polybutylene glycol, glycerine and trimethlyolpropane. A preferred polyester polyol is polycaprolactone polyol having an average molecular weight from 500 to 6,000, and preferably from 700 to 3,000. Suitable diols are those polyols listed above having a functionality of 2 and a molecular weight of from 62 to 499. Preferred diols are 1,4-butane-diol and 1,3-propanediol. The diisocyanate component is preferably an aliphatic diisocyanate. 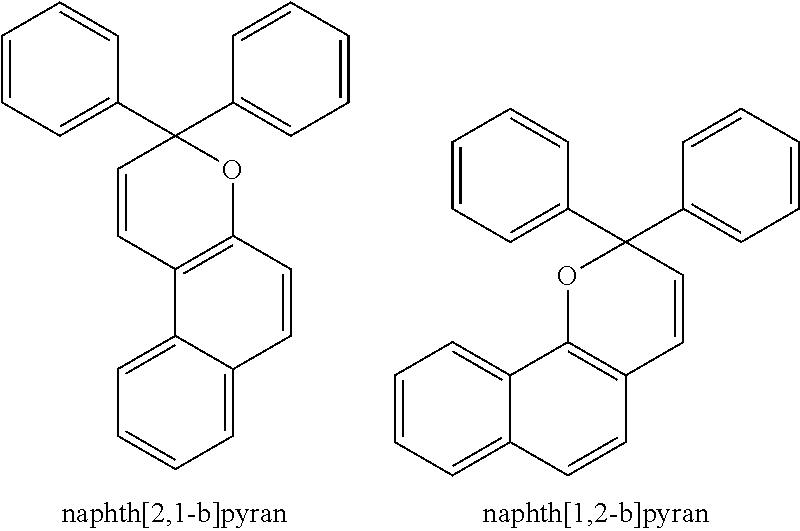 The aliphatic diisocyanate is selected from the group consisting of 1,4-tetramethylene diisocyanate, 1,6-hexamethylene diisocyanate, 2,2,4-trimethyl-1,6-hexamethylene diisocyanate, 1,12-dodecamethylene diisocyanate, cyclohexane-1,3- and -1,4-diisocyanate, 1-isocyanato-2-isocyanatomethyl cyclopentane, 1-isocyanato-3-isocyanatomethyl-3,5,5-trimethyl-cyclohexane (isophorone diisocyanate or IPDI), bis-(4-isocyanatocyclohexyl)-methane, 2,4′-dicyclohexylmethane diisocyanate, 1,3- and 1,4-bis-(isocyanatomethyl)-cyclohexane, bis-(4-isocyanato-3-methylcyclohexyl)-methane, .alpha.,.alpha.,.alpha.′,.alpha.′-tetramethyl-1,3- and/or -1,4-xylylene diisocyanate, 1-isocyanato-1-methyl-4(3)-isocyanatomethyl cyclohexane, 2,4- and/or 2,6-hexahydrotoluylene diisocyanate, and mixtures thereof. Bis-(4-isocyanatocyclohexl)-methane is the preferred diisocyanate in occurrence with the method of the present invention. The polymerization process to make the thermoplastic polyurethane can be carried out in one-pot fashion, that is, all starting materials are initially added into the reaction vessel. The polymerization process can also be carried out with a prepolymer approach. That is, a polyurethane prepolymer terminated with isocyanate groups is first obtained by reacting a stoichiometrically in excess diisocyanate with a polyol. Suitable equivalent ratio of diisocyanate to polyol in the present invention is from 1.2:1.0 to 8.0:1.0. A chain extender of diol is then mixed with the prepolymer to complete the reaction. The NCO index of the thermoplastic polyurethane, formed from the quotient, which is multiplied by 100, of the equivalent ratio of isocyanate groups to the sum of the hydroxyl groups of polyol and chain extender is within a range of 90 to 105, preferably between 92 and 101. Catalysts such as organotin or other metallic soaps may be added in the mixture to make a thermoplastic polyurethane. Example catalysts include dibutyltin dilaurate, stannous octoate, and cobalt naphthenate. The isocyanate prepolymer used in the photochromic polyurethane composition of the present invention is prepared in the same way as the prepolymer used to prepare the thermoplastic polyurethane in a prepolymer method described above. Preferably, the polyol and the isocyanate used to make the isocyanate prepolymer is the same as the polyol to make the thermoplastic polyurethane. More preferably, the isocyanate is an aliphatic diisocyanate described in the previous sections, and the polyol is a polyester polyol having a molecular weight between 700 and 3,000. The molecular weight (number averaged) of the isocyanate prepolymer is preferably between 1,000 and 6,000, and more preferably between 1,500 and 4,000. As an isocyanate group terminated prepolymer, its NCO content is between 1.0% and 10.0%, preferably between 2.0% and 8.0%. When mixing the isocyanate prepolymer and the thermoplastic polyurethane together, the mixing ratio by weight is in the range from 1:9 to 9:1, preferably from 1:3 to 3:1. Suitable photochromic compounds in the context of the invention are organic compounds that, in solution state, are activated (darken) when exposed to a certain light energy (e.g., outdoor sunlight), and bleach to clear when the light energy is removed. They are selected from the group consisting essentially of benzopyrans, naphthopyrans, spirobenzopyrans, spironaphthopyrans, spirobenzoxzines, spironaphthoxazines, fulgides and fulgimides. Such photochromic compounds have been reported which, for example, in U.S. Pat. Nos. 5,658,502, 5,702,645, 5,840,926, 6,096,246, 6,113,812, and 6,296,785; and U.S. patent application Ser. No. 10/038,350, all commonly assigned to the same assignee as the present invention and all incorporated herein by reference. Among the photochromic compounds identified, naphthopyran derivatives are preferred for optical articles such as eyewear lenses. They exhibit good quantum efficiency for coloring, a good sensitivity and saturated optical density, an acceptable bleach or fade rate, and most importantly good fatigue behavior. These compounds are available to cover the visible light spectrum from 400 nm to 700 nm. Thus, it is possible to obtain a desired blended color, such as neutral gray or brown, by mixing two or more photochromic compounds having complementary colors under an activated state. Substituents on various positions of the aromatic structure are used to tune the compounds to have desired color and fading rate, and improved fatigue behavior. For example, a photochromic dye may contain a polymerizable group such as a (meth)acryloyloxy group or a (meth)allyl group, so that it can be chemically bonded to the host material through polymerization. The quantity of photochromic compound(s) incorporated into the polyurethane layer of the present invention is determined by the desired light blockage in the activated state and the thickness of the polyurethane layer itself. The preferred outdoor visible light transmission of sunglasses is preferably between 5% and 50%, more preferably between 8% and 30%, most preferably between 10% and 20%. Preferably, the amount of total photochromic substance incorporated into or applied on the polyurethane layer may range from about 0.1 wt. % to about 5 wt. % of the total polyurethane, and more preferably from about 0.5 wt. % to about 3.0 wt. %. If the thickness of the polyurethane layer is 100 μm, between about 0.5 wt. % to about 1 wt. % of photochromic compound(s) is needed to achieve an outdoor light transmission of between 10% and 20%. The amount of photochromic compound(s) needed is inversely proportional to the thickness of the polyurethane layer. In other words, to achieve the same outdoor light transmission the thicker the polyurethane layer, the lower the concentration of photochromic compound(s) needed. The concentration of the photochromic compound(s) also depends on the color intensity of the photochromic compound(s) at the activated state. Additives such as antioxidants and light stabilizers are incorporated into the polyurethane layer in order to improve the fatigue resistance of the photochromic compounds. Hindered amines are usually used as light stabilizers, and hindered phenols are usually used as antioxidants. Preferred hindered amine light stabilizers include, bis(1,2,2,6,6-pentamethyl-4-piperidinyl)-sebacate, or a condensation product of 1,2,2,6,6-pentamethyl-4-piperidinol, tridodecyl alcohol and 1,2,3,4-butanetetra caboxylic acid as tertiary hindered amine compounds. Preferred phenol antioxidants include, 1,1,3-tris(2-methyl-4-hydorxy-5-t-butylphenyl)butane, tetrakis-[methylene-3-(3′,5′-di-t-butyl-4′-hydroxy-phenyl)propionate]methane, and 1,3,5-tris(3,5-di-t-butyl-4-hyroxybenzyl)-1,-3,5-triazine-2,4,6-(1H,3H,5H)-trione. Phenol antioxidants that contain 3 or more hindered phenols are preferable. A photochromic laminate having a polyurethane layer in between two transparent resin sheets in accordance with the present invention may be produced through a variety of processes. Depending on the nature of the starting material to the polyurethane, processes such as casting-lamination (also referred to in the art as coating-lamination), and extrusion-lamination may be used. To the photochromic polyurethane composition of the present invention, a novel casting-lamination process has been developed by the inventors. The process essentially comprises: a) preparing a solvent casting solution by dissolving a solid thermoplastic polyurethane, at least one isocyanate polyurethane prepolymer, at least one photochromic compound, and optional stabilizers in a proper solvent; b) cast the solution on a release liner film; c) remove the solvent from the cast film to a substantially dry state to form a photochromic polyurethane film; d) transfer-laminate the photochromic polyurethane film between two transparent resin sheets; e) cure the photochromic polyurethane film, thereby forming a photochromic polyurethane laminate. To cast a photochromic polyurethane film, a thermoplastic polyurethane, an isocyanate prepolymer, selected photochromic compounds and other necessary additives are first dissolved in a suitable solvent or in a mix of solvents to form a cast solution. The solid concentration in such a solution is usually 15% to 50%, by weight, and the solution has a viscosity suitable for coating. For example, suitable viscosity of the cast solution for using a slot die method is within the range from 500 cPs to 5000 cPs. Examples of suitable solvents that may be used to dissolve polyurethanes include cyclohexane, toluene, xylene and ethyl benzene, esters such as ethyl acetate, methyl acetate, isopropyl acetate, n-propyl acetate, isobutyl acetate, n-butyl acetate, isoamyl acetate, methyl propionate and isobutyl propionate, ketones such as acetone, methylethyl ketone, diethyl ketone, methylisobutyl ketone, acetyl acetone and cyclohexyl ketone, ether esters such as cellosolve aetate, diethylglycol diaetate, ethyleneglycol mono n-butylether acetate, propylene glycol and monomethylether acetate, tertiary alcohols such as diacetone alcohol and t-amyl alcohol and tetrahydrofuran. Ethyl acetate, methyl ethyl ketone, cyclohexane, tetrahydrofuran, toluene and combinations thereof are preferable. The solution is then cast on a release liner by using a method known to those skilled in the art, such as slot-die, knife-over-roll, reverse-roll, gravure, etc. Slot die and knife-over-film are referred. Slot die method is especially preferred due to its capability to handle wide range of solution viscosity and to cast uniform films. A release liner may consist of a base film and a release coating or simply a film itself. Films with surface energy low enough to provide easy release of the cast film can be used by itself. Examples include low energy polyolefins and fluoropolymers. Most commercially available release liners are based on polyester film coated with a release coating. The release coating has a proper surface energy so that a cast solution or coating forms a uniform film (e.g., without beading) on it. At the same time the release coating does not provide good adhesion to the dried film so that the film can be easily peeled off. Release coatings include silicone (siloxane) based and non-silicone base such as fluoropolymers. A liner based on polyester (PET) with cured siloxane release coating is preferred due to the dimensional stability, flatness, handling, solvent resistance, low cost. Suitable liners should have a thickness of from 25 micrometers to 130 micrometers. The wet photochromic polyurethane film cast on the release liner is sequentially dried in a forced air oven system. The solvent will be substantially evaporated so that the solvent retention in the photochromic polyurethane film is low enough to not cause any defects (e.g., bubbling) in the future laminate. The solvent retention preferably is less than 2 wt. %, more preferably less than 1 wt. %, and most preferably less than 0.5 wt. %. Conventional methods such as hot air dryers may be used to evaporate the solvent before lamination. The drying conditions, such as temperature and air flow rate in the oven, for a desired solvent retention value depends on the nature of the solvent, the thickness of the cast film, the type of the release liner, and the web speed. The drying conditions should not be so aggressive to cause any surface defects in the cast film. Example defects are blisters (bubbles) and orange peel. Preferably, the drying oven system has multi-zones whose drying conditions are controlled separately. The thickness of the dried photochromic polyurethane layer is from about 5 micrometers to about 150 micrometers. For using the photochromic laminate in an insert injection molding process to make plastic photochromic lenses, the thickness of the photochromic polyurethane is preferably between 5 micrometers and 80 micrometers. The thickness variation of the photochromic polyurethane layer should be controlled in order to produce a uniform light blockage at the activated state. A thickness variation of less than 15% over the width of the laminate is required and preferably less than 10% and more preferably less than 5%. The transfer-lamination of the dried photochromic polyurethane film to two transparent resin sheets to form a laminate of the polyurethane film between the two resin sheets, may be done by either a sequential lamination process or an in-line lamination process. In a sequential lamination process, the dried polyurethane film on the release liner is first laminated to the first transparent resin sheet through a first lamination station. The semi-laminate consisting of the release liner, the polyurethane film, and the resin sheet, is then wound up on a core. The wind is then brought to a second lamination station where the release liner is peeled off and the second transparent sheet is laminated to the polyurethane film to form the final photochromic polyurethane laminate. The first and the second lamination stations may be the same one. The lamination may be conducted between two chrome coated steel rolls or between one steel roll and one rubber roll, although the later is preferred. According to the findings of the inventors, an in-line lamination process is more preferred. In such a process, the second transparent resin sheet is immediately laminated to the semi-laminate without first winding the semi-laminate. The in-line lamination may be done with two two-roll lamination stations, or more conveniently be conducted on one three-roll setup in which the first roll and the second roll form a first nip, and the second roll and the third roll form a second nip. The dried polyurethane film on the release liner is first laminated to the first transparent resin sheet through the first nip. Without forming and winding a semi-laminate, the release liner is peeled off, and the second transparent resin sheet is immediately laminated to the exposed side of the polyurethane film on the first transparent resin sheet, through the second nip. This in-line lamination process will significantly increase the productivity. It also eliminates an extra winding step and reduces the possibilities of defects in the polyurethane film associated with the winding step. Example defects are de-lamination between the polyurethane film and the transparent resin sheet, impressions in the polyurethane film caused by possible external particles under winding pressure. The photochromic polyurethane laminate thus formed according to the present invention needs to be cured before application. The curing is preferably carried in two stages: a) ambient curing for 1 day to 1 week, b) post curing at elevated temperature of from 50° C. to 130° C. for 8 hours to 1 week. If the solvent selected to dissolve the photochromic polyurethane composition does not whiten the transparent resin sheet, a direct cast on the resin sheet may be employed. In this case, a simple two-roll lamination setup is acceptable for making a photochromic polyurethane laminate. In an alternative process, the photochromic layer from a thermoplastic polyurethane and isocyanate-terminated polyurethane prepolymer may be co-extruded utilizing a single- or twin-screw extruder. The extruded photochromic polyurethane film will then be immediately hot-laminated between two transparent resin sheets to form the photochromic polyurethane laminate. The photochromic compounds and other additives may be incorporated into the polyurethane during the resin synthesis stage or melt-mixed prior to extrusion. Although the photochromic laminate according to the present invention is especially suitable for making photochromic polycarbonate lenses through the insert injection molding process described in commonly assigned U.S. Pat. No. 6,328,446, it can also be used as-is for other photochromic transparencies such as goggles and face shields. The photochromic laminate may also be incorporated into other types of eyewear lenses such as cast resin lenses with a process described in U.S. Pat. No. 5,286,419. The photochromic polyurethane laminate in accordance with the present invention will now be illustrated with reference to the following examples, which are not to be construed as a limitation upon the scope of the invention in any way. In the examples, all values are expressions of weight %. CR49 and CR59 are tradenames of photochromic dyes available from Corning Corp. Grey-762 is proprietary grey photochromic dye. Irganox-1010 as an antioxidant, Tinuvin-144 and Tinuvin-765 as light stabilizers are available from CIBA (Tarrytown, N.Y., US). To visually evaluate the activation and the photochromic polyurethane layer uniformity, a photochromic laminate or lens was exposed to UV irradiation (12 mw/m2) for 5 minutes. Preparation of Isocyanate Polyurethane Prepolymer A: In a 3-necked flask equipped with an overhead stirrer, thermocouple, and a vacuum adapter, 393.5 g (3 equivalents) of 4,4′-dicyclohexylmethanediisocyanate (H12MDI, available from Bayer as Desmodur W) was charged into the reactor and stirred at ambient temperature. 1000 g (2 equivalents) of a polycaprolactone diol having an OH number of 112 mg KOH/g and a number average molecular weight of about 1000 g/mole (available from Dow Chemical as Tone™ 2221) was preheated in an oven to 80° C. and added to the reactor. The mixture was allowed to stir for about 15 minutes, before adding 6 g of dibutyltin dilaurate catalyst (available from Air Products as T-12). The reaction flask was evacuated (<0.1 mm HG) and held at 90° C. for 6 hours. An aliquot of the prepolymer was withdrawn and titrated for isocyanate content using standard n-butyl amine titration. The isocyanate content was found to be 2.92% (theory; 3.0%). Preparation of Isocyanate Polyurethane Prepolymer B: In a 3-necked flask equipped with an overhead stirrer, thermocouple, and a vacuum adapter, 613.0 g (4.67 equivalents) of 4,4′-dicyclohexylmethanediisocyanate (H12MDI, available from Bayer as Desmodur W) was charged into the reactor and stirred at ambient temperature. 1000 g (2 equivalents) of a polycaprolactone diol having an OH number of 112 mg KOH/g and a number average molecular weight of about 1000 g/mole (available from Dow Chemical as Tone™ 2221) was preheated in an oven to 80° C. and added to the reactor. The mixture was allowed to stir for about 15 minutes, before adding 8 g of dibutyltin dilaurate catalyst (available from Air Products as T-12). The reaction flask was evacuated (<0.1 mm HG) and held at 90° C. for 6 hours. An aliquot of the prepolymer was withdrawn and titrated for isocyanate content using standard n-butyl amine titration. The isocyanate content was found to be 6.75% (theory; 7.0%). Preparation of Thermoplastic Polyurethane: A thermoplastic polyurethane having a theoretical NCO index of 95 was prepared as following. The isocyanate prepolymer B (927.2 g) prepared in Example 2 was heated in vacuo (<0.1 mm HG) with stirring to 80° C. and 1,4-butane-diol (72.8 g) as the chain extender and 3 g of dibutyltin dilaurate catalyst were combined with the prepolymer while keeping stirring. The mixture was stirred for 30 seconds and subsequently poured into a Teflon lined tray. The tray containing the casting was cured in an oven at 85° C. for 24 hours. A solution was first made by dissolving 4 g of the thermoplastic polyurethane prepared in Example 3 in 16 g of anhydrous tetrahydrofuran. To the solution was further added 4 g of the isocyanate prepolymer prepared in Example 1, 0.14 g of CR49 dye, 0.02 g CR59 dye, 0.17 g each of Irganox-1010, Tinuvin-144, and Tinuvin-765. The mixture was stirred at room temperature for 3 hours before cast on an easy release liner (available from CPFilms as T-50) with draw bar targeting a 38 micrometer dry film thickness. The solvent in the cast film was evaporated at 60° C. for 5 minutes with airflow above the film. The dried film was transfer-laminated between two 0.3 mm thick polycarbonate sheets (available from Teijin as PC-1151) with a bench top roller laminator. After 4 days under ambient, the laminate was cured at 70° C. for 3 days. The laminate was cut into a 76 mm disc and used to make a segmented multi-focal polycarbonate photochromic lens. After the insert injection molding process with common molding parameters, the finished lens had an acceptable thin, crisp segment line. No polyurethane bleeding from the laminate was observed. The lens showed quick and uniform photochromic activation. No any lamination defects were observed. A solution having 28.2% solid, was first prepared by dissolving 1950 g of the thermoplastic polyurethane prepared as in Example 3 in 7550 g of anhydrous tetrahydrofuran. To the solution was further added 780 g of the isocyanate prepolymer prepared as in Example 1, 59 g each of “762” dye, Irganox-1010, Tinuvin-144, and Tinuvin-765. The mixture was stirred at room temperature for 3 hours then set overnight before cast on an easy release liner (available from Saint-Gobain as 8310) at a web speed of 5.5 feet per minute in a pilot coater equipped with a slot die, a two-zone drying oven, and a three-roll lamination station. The solvent in the cast film was evaporated at 70° C. for 1 minute and 120° C. for another minute with forced airflow above the film. The dried film was 38 micrometer thick and had a solvent retention of 0.1%. It was transfer-laminated between two 0.3 mm thick polycarbonate sheets (available from Teijin as PC-1151) with an in-line process (without winding the semi-laminate of the release liner, polyurethane film, and the first polycarbonate sheet). After 4 days in ambient (22° C. and 35%˜50% RH), the laminate was cured at 70° C. for 3 days. The laminate was cut into 76 mm discs and used to make a segmented multi-focal polycarbonate photochromic lenses. After the insert injection molding process with common molding parameters, the finished lens had an acceptable thin, crisp segment line. No polyurethane bleeding from the laminate was observed. The lens showed quick and uniform photochromic activation. No any lamination defects were observed. A solution having 35.3% solid, was first prepared by dissolving 1950 g of the thermoplastic polyurethane prepared as in Example 3 in 7742 g of anhydrous tetrahydrofuran. To the solution was further added 1950 g of the isocyanate prepolymer prepared as in Example 1, 68 g of CR49 dye, 10 g CR59 dye, 85 g each of Irganox-1010, Tinuvin-144, and Tinuvin-765. The mixture was stirred at room temperature for 3 hours then set overnight, then cast directly on a first 0.3 mm thick polycarbonate sheet (available from Teijin as PC1151) at a web speed of 5.5 feet per minute in a pilot coater equipped with a slot die, a two-zone drying oven, and a three-roll lamination station. The solvent in the cast film was evaporated at 94° C. for 1 minute and 127° C. for another minute with forced airflow above the film. The dried film was 25 micrometer thick and had a solvent retention of 0.1%. A second 0.3 mm thick polycarbonate sheet was laminated on the exposed side of the dried polyurethane film on the first polycarbonate sheet. After 4 days in ambient (22° C. and 35%˜50% RH), the laminate was cured at 70° C. for 3 days. The laminate obtained was clear. No solvent whitening on the polycarbonate sheets was seen. To 10 g of Hysol® (Loctite) U-10FL urethane adhesive resin are dissolved 1.5% of “762” dye, 2.0% of Tinuvin 144, and 2.0% of Tinuvin 765. Then, 9.1 g of Hysol® U-10FL urethane adhesive hardener is mixed in to form a liquid adhesive. The adhesive was coated with a draw bar directly on a polycarbonate sheet (0.3 mm thick, available from Teijin as 1151) to form a 38 micrometer cast film. Another polycarbonate sheet was laminated onto the adhesive through a bench top roller laminator. Some adhesive was squeezed out. The laminate was allowed to cure at room temperature overnight, then is post cured at 65° C. for 10 hours. When the photochromic laminate was activated, thin spots (lightly activated due to thinner spots in the polyurethane layer) and non-uniformity of activation due to thickness gradient across the laminate were observed. Example 4 was followed, except the isocyanate prepolymer was neglected. The photochromic polyurethane layer was 38 micrometers thick. The laminate showed uniform photochromic activation. No lamination defects were observed. However, when molded into a polycarbonate lens as in Example 4, severe polyurethane bleeding was observed at the edge of the laminate. The foregoing detailed description of the preferred embodiments of the invention has been provided for the purposes of illustration and description. They are not intended to be exhaustive or to limit the invention to the precise embodiments disclosed. Many modifications and variations will be apparent to practitioners skilled in the art to which this invention pertains. The embodiments were chosen and described in order to best explain the principles of the invention and its practical application, thereby enabling others skilled in the art to understand the invention for various embodiments and with various modifications as are suited to the particular use contemplated. It is intended that the scope of the invention be defined by the following claims and their equivalents. a photochromic layer prepared from a solvent-based reaction solution comprising a solid thermoplastic polyurethane, a first isocyanate polyurethane prepolymer, and at least one photochromic compound, a weight ratio of the thermoplastic polyurethane to the first isocyanate polyurethane prepolymer in a range of 1:9 to 9:1.
the chain extender comprising a diol having a molecular weight in a range of about 62 to 499 g/mol. 3. The optical lens of claim 2 wherein said polyol comprises a polyester polyol from a group consisting of polycaprolactone polyol and poly(butylene adipate) polyol. 4. The optical lens of claim 2 wherein said polyol comprises a polyether polyol from a group consisting of polypropylene glycol and polytetramethylene glycol. 5. The optical lens of claim 2 wherein said aliphatic diisocyanate comprises a diisocyanate from a group consisting of: hexamethylene diisocyanate, isophorone diisocyanate, cyclohexane diisocyanate, methylcyclohexane diisocyanate, and dicyclohexylmethane diisocyanate. 6. The optical lens of claim 2 wherein said diol comprises a diol from a group consisting of: propane diol, butane diol, pentane diol, hexane diol, diethylene glycol, dipropylene glycol, and cyclohexane diol. 7. The optical lens of claim 1 wherein said first isocyanate polyurethane prepolymer comprises an isocyanate polyurethane prepolymer having a molecular weight in a range of about 1,000 to 6,000 grams per mole. b) an aliphatic diisocyanate, a cycloaliphatic diisocyanate, or both. 9. The optical lens of claim 8 wherein said polyester polyols comprises a polycaprolactone polyol or a poly(butylene adipate) polyol. 10. The optical lens of claim 8 wherein said polyether polyols comprises a polypropylene glycol or a polytetramethylene glycol. 11. The optical lens of claim 8 wherein said diisocyanate comprises a diisocyanate from a group consisting of: hexamethylene diisocyanate, isophorone diisocyanate, cyclohexane diisocyanate, methylcyclohexane diisocyanate, and dicyclohexylmethane diisocyanate. 12. The optical lens of claim 1 wherein said optical lens comprises a plurality of focal powers. 13. The optical lens of claim 1 wherein said optical lens comprises a plurality of focal powers that change in continuous increments. 14. The optical lens of claim 1 wherein said optical lens comprises an injection molded optical lens. 15. The optical lens of claim 1 wherein said optical lens comprises a cast molded optical lens. 16. The optical lens of claim 1 further comprising a first transparent resin sheet attached to a first side of the photochromic layer and a second transparent resin sheet attached to a second side of the photochromic layer. 17. The optical lens of claim 1 wherein the photochromic layer comprises an NCO:OH ratio greater than 3.
a photochromic layer interposed between the front lens surface and the back lens surface, the photochromic layer prepared from a reaction solution comprising a thermoplastic polyurethane, an isocyanate polyurethane prepolymer having a percent isocyanate content less than a percent isocyanate content of an isocyanate polyurethane prepolymer employed to form the thermoplastic polyurethane, and at least one photochromic compound. 19. The optical lens of claim 18 further comprising a first transparent resin sheet attached to a first side of the photochromic layer and a second transparent resin sheet attached to a second side of the photochromic layer. 20. The optical lens of claim 19 wherein the first transparent resin sheet and the second transparent resin sheet comprise polycarbonate. 21. The optical lens of claim 18 wherein the lens comprises more than one focal power. 23. The optical lens of claim 18 wherein the photochromic layer comprises an NCO:OH ratio greater than 3. NL1033103C2 (en) 2006-12-21 2008-06-24 Hd Inspiration Holding B V Visor provided with UV-sensitive material. Asakura Shoten Co., Ltd, publisher, "10.5.3 Types of eyeglass lenses," Extract from "Kougaku Gijutsu Handbook", supplementary edition. Fifth Edition published Aug. 10, 1980, 4 pages. European Patent Office, Decision to Grant dated Mar. 11, 2004 in European Patent Application No. 96908587.7-2217 0814956, 1 pages. European Patent Office, Examination Report dated Apr. 26, 2010 in European Patent Application No. 03 744 674.7-2307, 5 pages. European Patent Office, Examination Report dated Dec. 27, 2000 in European Patent Application No. 96 908 587.7-2217, 7 pages. European Patent Office, Examination Report dated Feb. 15, 2006 in European Patent Application No. 04 009 085.4-17, 3 pages. European Patent Office, Examination Report dated Jan. 22, 2009 in European Patent Application No. 03 772 064.6-1211, 4 pages. European Patent Office, Examination Report dated Jan. 29, 2010 in European Patent Application No. 04009085.4-2217, 3 pages. European Patent Office, Examination Report dated Jan. 9, 2003 in European Patent Application No. 96 908 587.7-2217, 3 pages. European Patent Office, Examination Report dated Jun. 29, 2001 in European Patent Application No. 96 908 587.7-2217, 4 pages. European Patent Office, Examination Report dated Mar. 3, 2009 in European Patent Application No. 03744674.7-2307, 3 pages. European Patent Office, Examination Report dated May 14, 2008 in European Patent Application No. 06816842.7-1234, 2 pages. European Patent Office, Examination Report dated May 7, 2002 in European Patent Application No. 96 908 587.7-2217, 3 pages. European Patent Office, Examination Report dated Nov. 13, 2006 in European Patent Application No. 04 009 085.4-2217, 2 pages. European Patent Office, Examination Report dated Sep. 2, 2005 in European Patent Application No. 03 772 064.6-1253, 5 pages. European Patent Office, Supplementary European Search Report dated Nov. 11, 1998 in European Patent Application No. EP 96 90 8587, 3 pages. European Patent Office, Supplementary European Search Report dated Nov. 11, 2004 in European Patent Application No. EP 04 00 9085, 2 pages. Folatjar, D.A. and Horn, K., "Polycarbonates," in Techniques de l 'Ingénieur, traité Plastiques et Composites vol. AM3 (Trmenstrial), Blanc, André, ed., Apr. 14, 2007, 15 pp. Frames Product Guide, "Lenses," Jan. 1993, 2 pages. IP Australia, Examiner's Report dated Oct. 29, 2009 in Australian Patent Application No. 2004270746, 3 pages. ip Australia, Examiner's Report dated Sep. 12, 2007 in Australian Patent Application No. 2003225785, 2 pages. IP Australia, Notice of Acceptance dated Nov. 17, 2010 in Australian Patent Application No. 2004270746, 3 pages. Krongauz, V.A. "Chapter 21: Environmental Effects on Organic Photochromic Systems," in Studies in Organic Chemistry 40, Dürr, H., Bouas-Laurent, H., Eds. ; Elsevier: Amsterdam, 1990, pp. 793-821. McGraw-Hill Book Company, "Eye glasses," in McGraw-Hill Encyclopedia of Science and Technology, 1960, pp. 172-173. MGC, "Coated Film Insert Injection Process," Oct. 1988, pp. 122-128, Rev. 1993.8, Lot No. 93 08 2000 DPR. Mitsubishi Engineering Plastics Corp., Material Safety Data sheet, Jun. 1, 1995, 4 pages. Narisawa, H. et al., "Photocontrol of orientation of photochromic dichroic dyes in cholesteric polymer films," Macromol. Chem.. Phys. 196, May 1995, pp. 1419-1430. Orcolite, Press release: "Orcolite® Releases the Industry's first Prescription Polarized Polycarbonate lens-PolarPoly™," Oct. 2, 1995, Azusa, California, 2 pages. Orcolite, Press release: "Orcolite® Releases the Industry's first Prescription Polarized Polycarbonate lens—PolarPoly™," Oct. 2, 1995, Azusa, California, 2 pages. Sisido, M. et al., "Induced Circular Dichroism from Cholesteric Polypeptide Films Doped with an Azobenzene Derivative," Macromolecules, 1993, 26 pp. 1424-2428. United States Patent and Trademark Office, Final Office Action dated Aug. 10, 2011 in U.S. Appl. No. 12/401,277, 20 pages. United States Patent and Trademark Office, Final Office Action dated Dec. 1, 2008 in U.S. Appl. No. 11/398,819, 6 pages. United States Patent and Trademark Office, Final Office Action dated Dec. 19, 2006 in U.S. Appl. No. 11/398,814, 9 pages. United States Patent and Trademark Office, Final Office Action dated Dec. 5, 2008 in U.S. Appl. No. 10/938,275, 10 pages. United States Patent and Trademark Office, Final Office Action dated Feb. 23, 2010 in U.S. Appl. No. 10/938,275, 11 pages. United States Patent and Trademark Office, Final Office Action dated Feb. 8, 2008 in U.S. Appl. No. 10/764,762, 10 pages. United States Patent and Trademark Office, Final Office Action dated Jan. 23, 2009 in U.S. Appl. No. 11/458,255, 5 pages. United States Patent and Trademark Office, Final Office Action dated Jan. 5, 2012 in U.S. Appl. No. 10/938,275, 30 pages. United States Patent and Trademark Office, Final Office Action dated Jun. 21, 2005 in U.S. Appl. No. 09/848,594, 7 pages. United States Patent and Trademark Office, Final Office Action dated Mar. 5, 2003 in U.S. Appl. No. 09/854,419, 11 pages. United States Patent and Trademark Office, Final Office Action dated Mar. 8, 2010 in U.S. Appl. No. 11/458,255, 7 pages. United States Patent and Trademark Office, Final Office Action dated May 11, 2005 in U.S. Appl. No. 10/636,383, 10 pages. United States Patent and Trademark Office, Final Office Action dated Nov. 2, 2006 in U.S. Appl. No. 10/764,762, 9 pages. United States Patent and Trademark Office, Final Office Action dated Nov. 8, 2006 in U.S. Appl. No. 10/630,277, 5 pages. United States Patent and Trademark Office, Final Office Action dated Oct. 29, 2009 in U.S. Appl. No. 11/368,929, 9 pages. United States Patent and Trademark Office, Final Office Action dated Oct. 9, 2007 in U.S. Appl. No. 10/938,275, 9 pages. United States Patent and Trademark Office, Notice of Allowance dated Apr. 1, 2011 in U.S. Appl. No. 11/368,929, 27 pages. United States Patent and Trademark Office, Notice of Allowance dated Aug. 11, 2014 in U.S. Appl. No. 13/645,696, 8 pages. United States Patent and Trademark Office, Notice of Allowance dated Aug. 31, 2010 in U.S. Appl. No. 11/537,571, 4 pages. United States Patent and Trademark Office, Notice of Allowance dated Dec. 17, 2003 in U.S. Appl. No. 10/183,088, 5 pages. United States Patent and Trademark Office, Notice of Allowance dated Jan. 25, 2008 in U.S. Appl. No. 11/398,814, 7 pages. United States Patent and Trademark Office, Notice of Allowance dated Jan. 8, 2001 in U.S. Appl. No. 09/425,517, 7 pages. United States Patent and Trademark Office, Notice of Allowance dated Jun. 27, 2012 in U.S. Appl. No. 10/938,275, 5 pages. United States Patent and Trademark Office, Notice of Allowance dated Jun. 8, 2011 in U.S. Appl. No. 11/398,819, 6 pages. United States Patent and Trademark Office, Notice of Allowance dated Mar. 10, 2011 in U.S. Appl. No. 11/458,255, 7 pages. United States Patent and Trademark Office, Notice of Allowance dated Mar. 15, 2006 in U.S. Appl. No. 10/389,353, 8 pages. United States Patent and Trademark Office, Notice of Allowance dated Nov. 10, 2005 in U.S. Appl. No. 10/636,383, 7 pages. United States Patent and Trademark Office, Notice of Allowance dated Nov. 16, 2005 in U.S. Appl. No. 09/848,594, 6 pages. United States Patent and Trademark Office, Notice of Allowance dated Oct. 28, 2008 in U.S. Appl. No. 11/370,731, 7 pages. United States Patent and Trademark Office, Notice of Intent to Issue Ex Parte Reexamination Certificate mailed Dec. 28, 2006 in U.S. Appl. No. 90/007,325, 12 pages. United States Patent and Trademark Office, Office Action dated Apr. 10, 2014 in U.S. Appl. No. 13/645,696, 9 pages. United States Patent and Trademark Office, Office Action dated Apr. 8, 2008 in U.S. Appl. No. 11/398,819, 6 pages. United States Patent and Trademark Office, Office Action dated Apr. 9, 2003 in U.S. Appl. No. 10/183,088, 8 pages. United States Patent and Trademark Office, Office Action dated Aug. 24, 2009 in U.S. Appl. No. 11/537,571, 12 pages. United States Patent and Trademark Office, Office Action dated Aug. 25, 2006 in U.S. Appl. No. 90/007,325, 19 pages. United States Patent and Trademark Office, Office Action dated Aug. 6, 2009 in U.S. Appl. No. 11/398,819, 5 pages. United States Patent and Trademark Office, Office Action dated Dec. 8, 2004 in U.S. Appl. No. 09/848,594, 8 pages. United States Patent and Trademark Office, Office Action dated Feb. 20, 2004 in U.S. Appl. No. 09/848,594, 9 pages. United States Patent and Trademark Office, Office Action dated Feb. 24, 2006 in U.S. Appl. No. 10/630,277, 8 pages. United States Patent and Trademark Office, Office Action dated Jan. 25, 2005 in U.S. Appl. No. 10/389,353, 10 pages. United States Patent and Trademark Office, Office Action dated Jan. 6, 2011 in U.S. Appl. No. 12/401,277, 13 pages. United States Patent and Trademark Office, Office Action dated Jan. 8, 2007 in U.S. Appl. No. 10/938,275, 10 pages. United States Patent and Trademark Office, Office Action dated Jul. 1, 2011 in U.S. Appl. No. 11/458,255, 22 pages. United States Patent and Trademark Office, Office Action dated Jul. 10, 2007 in U.S. Appl. No. 11/398,814, 10 pages. United States Patent and Trademark Office, Office Action dated Jul. 15, 2011 in U.S. Appl. No. 12/959,201, 13 pages. United States Patent and Trademark Office, Office Action dated Jul. 16, 2009 in U.S. Appl. No. 10/938,275, 10 pages. United States Patent and Trademark Office, Office Action dated Jul. 27, 2004 in U.S. Appl. No. 10/183,088, 3 pages. United States Patent and Trademark Office, Office Action dated Jul. 27, 2005 in U.S. Appl. No. 10/389,353, 8 pages. United States Patent and Trademark Office, Office Action dated Jul. 3, 2007 in U.S. Appl. No. 10/630,277, 6 pages. United States Patent and Trademark Office, Office Action dated Jul. 5, 2006 in U.S. Appl. No. 11/398,814, 8 pages. United States Patent and Trademark Office, Office Action dated Jun. 2, 2003 in U.S. Appl. No. 09/848,594, 12 pages. United States Patent and Trademark Office, Office Action dated Jun. 20, 2008 in U.S. Appl. No. 10/938,275, 10 pages. United States Patent and Trademark Office, Office Action dated Jun. 22, 2009 in U.S. Appl. No. 11/458,255, 5 pages. United States Patent and Trademark Office, Office Action dated Jun. 24, 2008 in U.S. Appl. No. 11/458,255, 8 pages. United States Patent and Trademark Office, Office Action dated Mar. 21, 2006 in U.S. Appl. No. 10/764,762, 11 pages. United States Patent and Trademark Office, Office Action dated Mar. 24, 2011 in U.S. Appl. No. 10/938,275, 14 pages. United States Patent and Trademark Office, Office Action dated Mar. 29, 2010 in U.S. Appl. No. 12/401,277, 12 pages. United States Patent and Trademark Office, Office Action dated Mar. 9, 2009 in U.S. Appl. No. 11/368,929, 16 pages. United States Patent and Trademark Office, Office Action dated May 1, 2008 in U.S. Appl. No. 11/370,731, 11 pages. United States Patent and Trademark Office, Office Action dated May 17, 2007 in U.S. Appl. No. 10/764,762, 13 pages. United States Patent and Trademark Office, Office Action dated May 26, 2010 in U.S. Appl. No. 11/398,819, 6 pages. United States Patent and Trademark Office, Office Action dated May 28, 2010 in U.S. Appl. No. 11/537,571, 6 pages. United States Patent and Trademark Office, Office Action dated May 3, 2013 in U.S. Appl. No. 13/645,696, 26 pages. United States Patent and Trademark Office, Office Action dated Oct. 18, 2007 in U.S. Appl. No. 11/370,731, 11 pages. United States Patent and Trademark Office, Office Action dated Oct. 6, 2010 in U.S. Appl. No. 11/368,929, 12 pages. United States Patent and Trademark Office, Office Action dated Sep. 17, 2010 in U.S. Appl. No. 11/458,255, 9 pages. United States Patent and Trademark Office, Office Action dated Sep. 21, 2004 in U.S. Appl. No. 10/636,383, 9 pages. United States Patent and Trademark Office, Office Action dated Sep. 22, 2000 in U.S. Appl. No. 09/425,517, 11 pages. United States Patent and Trademark Office, Office Action dated Sep. 4, 2002 in U.S. Appl. No. 09/854,419, 12 pages. United States Patent and Trademark Office, Office Action dated Sep. 7, 2010 in U.S. Appl. No. 12/401,277, 12 pages. WIPO, U.S. International Preliminary Examining Authority, International Preliminary Report on Patentability dated Mar. 18, 2005 in International Patent Application No. PCT/US2003/023744, 4 pages. WIPO, U.S. International Preliminary Examining Authority, International Preliminary Report on Patentability dated May 20, 2005 in International Patent Application No. PCT/US2004/001939, 4 pages. WIPO, U.S. International Preliminary Examining Authority, International Preliminary Report on Patentability dated Sep. 20, 2005 in International Patent Application No. PCT/US04/30023, 4 pages. WIPO, U.S. International Preliminary Examining Authority, Written Opinion dated Jun. 9, 2004 in International Patent Application No. PCT/US2003/023744, 4 pages. WIPO, U.S. International Search Authority, International Search Report and Written Opinion dated Dec. 16, 2004 in International Patent Application No. PCT/US2004/001939, 9 pages. WIPO, U.S. International Search Authority, International Search Report dated Aug. 14, 1996 in International Patent Application No. PCT/US96/02777, 1 pages. WIPO, U.S. International Search Authority, International Search Report dated Dec. 15, 2003 in International Patent Application No. PCT/US2003/023744, 6 pages. WIPO, U.S. International Searching Authority, International Search Report and Written Opinion dated Apr. 4, 2005 in International Patent Application No. PCT/US04/30023, 8 pages. WIPO, U.S. International Searching Authority, International Search Report and Written Opinion dated Aug. 27, 2007 in International Patent Application No. PCT/US06/08444, 7 pages. WIPO, U.S. International Searching Authority, International Search Report and Written Opinion dated Mar. 6, 2007 in International Patent Application No. PCT/US06/38142, 4 pages.